» Why is Volunteering Important? As a mother, it seems unlikely that I would be able to take time out of my busy schedule to volunteer, but I truly believe that volunteering is a part of my civic duty. 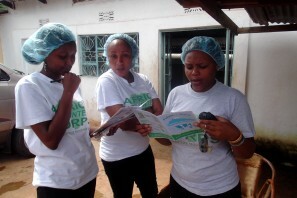 In 2012, Nuru receives training with the first class of AVC Volunteers. In 2012, I joined AVC as a Volunteer. I wanted to work with people living with HIV/AIDS because I knew they were living in the community and needed support, but they were practically invisible because people don’t want to talk about HIV/AIDS. Through AVC, I was placed to work with Jipe Moyo, a center that gathers individuals who are living with HIV/AIDS together so that they can act as a support network for one another. I worked as a counselor. At first, it was somewhat scary and intimidating to be in this environment because I had never known anyone who had HIV before, but I knew I had a reason for doing this work, which motivated me. Our society discourages HIV-infected people from pursuing their goals and I wanted to encourage them to lead full lives. I learned from this valuable time how to cope in difficult situations and how to work with people living with HIV/AIDS. It was a very emotionally constricted environment because HIV/AIDS is so taboo here, which was overwhelming at first. However, I believed that it is my obligation to lift some stress off at least one person per day and although I cannot help every person, helping one person per day is rewarding. 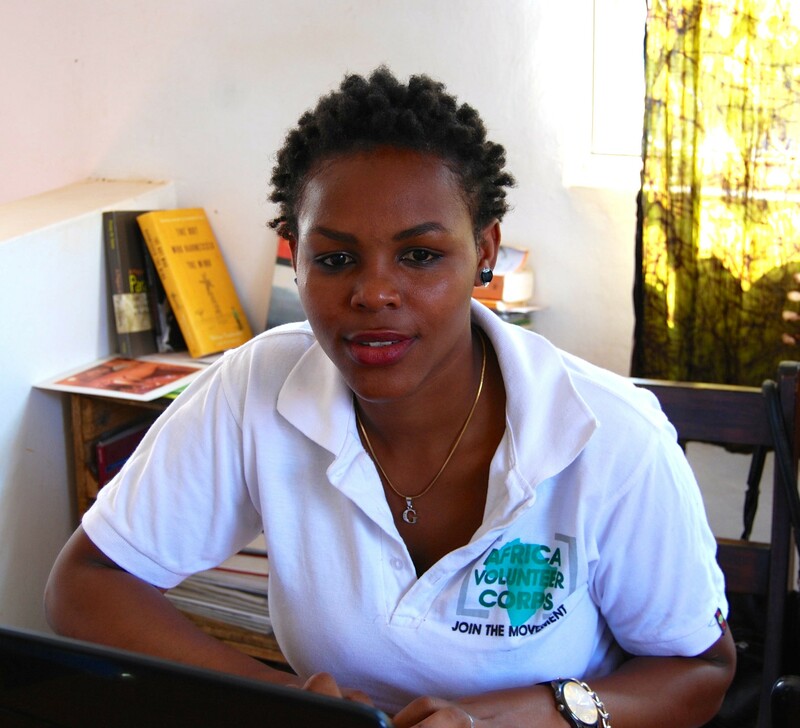 Nuru working at the AVC office, October 2014. Volunteering does not only make a difference in the community, but it changed my perspective on what is important in life. It reminded me that the world is much bigger than me. Volunteer work may seem unimportant to some people, but means so much to those who are affected by it. I plan to continue volunteering and to get my children involved in volunteering as well. I advise my fellow Tanzanians to join the movement and use their time to volunteer and help those around them. This will make the community better, but people can also use volunteering to reach their goals without depending on other people. Each person can employ themselves in their own way and be of help in the society in their own unique way. Now I am part of the team at Africa Volunteer Corps as the Administrative Assistant at our office in Moshi. My fellow staff here inspire me alot. I see people coming from different countries, different cultures, with different ideas working together for one vision. As a team, we help train the new Volunteers and we recruit new members. We think big on how to extend the program. I am so grateful to work with my fellow staff because I have learned lot from them and they have helped me be a part of the movement.